At bea Skin Clinic, we offer several natural lip enhancement procedures with Teosyal® KISS and Stylage Special Lips. 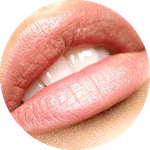 Cupid Lip fillers in London with Teosyal KISS® provide a touch of volume to the upper lip area, enhancing and accentuating the vermillion border. You will fall in love with your new lips, which will be a match made in heaven! Results last for 6 to 9 months; prices start at £250. Essex Lips will give you a luscious and glamorous pout with plenty of volume and body. 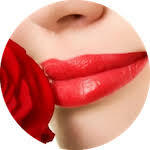 A look favoured by the cast members of TOWIE, your newly plump Essex lips will certainly get you noticed. With Teosyal Kiss, your Essex lips will last between 9 to 12 months. Prices start at £400. Paris Lips are ideal for those seeking a natural and shapely lip appearance with moderate volume - think Megan Fox or Scarlett Johansson. Your lips will be sultry and sophisticated like a movie star's. These lip fillers in London last from 9 to 12 months; prices start at £400 per treatment. Contact bea Skin Clinic today and arrange a one-to-one consultation with our practitioners.